The first day of class I found myself wondering what am I doing here but eventually I calmed down and remembered I was ready to learn. I thought it was creative the way they placed us in groups and my group couldn’t come up with a simple name lol! I went home exhausted but I looked forward to returning because I felt like I was in an innovating atmosphere. Being exhausted became the norm. It was all a new experience for me and learning a new way of teaching in the classroom and time to think about my pedagogy. Learning about STEM, the websites, and apps encouraged me to experiment more in the classroom. Much of my teaching has been based on the curriculum with a touch of my own creativity but the things I learned in during each session was next level. I was amazed at how using social media can help and being a part of a learning community can help me as an educator. The TPC activities helped me to think outside the box and how using simple things can help with understanding understaning. Learning how to repurpose and attending the museum beyond just for a typical field trip helped me vision differently. I mean I would have never thought to go there to take pictures for a project. Each day kept me wanting more and the improv day was awesome! The wonders, tech tips, quick fires and impromptu activities helped me to realize that creativity is within me even under pressure and there is so much technology to explore. I get comfortable in my zone and I need things planned but being a part of this fellowship changed my mindset on being so rigid. Getting to know other people and building relationships outside of my school is one of the things I hoped would be a part of this program and I saw that come to light. It felt great being around other teachers that are driven, love being in the classroom, and eager to learn new things. It was a breath of fresh air! My team was always so helpful, encouraging, and resourceful. Each time we did an assignment we encouraged one another ideas. I feared the assignments as I read about them but the MSU instructors and my team helped me through it. Our first video to our song was all a part of good collaboration. I look forward to implementing my Big Idea and all of the cool things I learned during our Face to Face time. This summer’s experience influence me to think outside the box. I want to implement different ways that will help me know my student's understand. It’s not always about paper assignments but allow collaborations and creativity to flow. I hope that I can make a difference in my school and collaborate a little more with other teachers. This experience most definitely has changed me as an educator to continue to spread my wings. 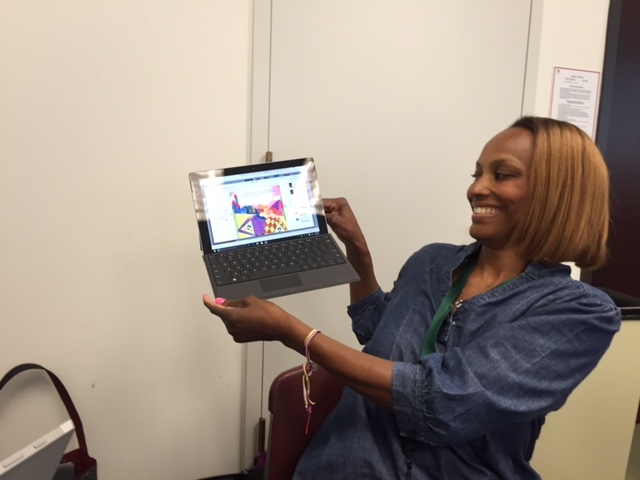 I attended CPS Googlepalooza for the first time this year and I know this program made an impact on me to attend. What I think about teaching has changed to make a great impact on introducing my students to STEM and the activities I’ve learned. My view on conceptual understanding has been challenged for the good. The articles I read during the summer help me to reflect on the way teach, grade, and use technology. I usually use different types of rubrics beyond the regular grading scale but now I look forward to formative assessment for conceptual understanding. Some of the technology gets a negative reputation but I hope to change that view inside my school after my summer experience. I look forward to going back in my classroom creating videos, websites, using different apps, and utilizing TPC. This will be my first year using Google Classroom and flipping my classroom at least once a week. One thing that truly helped me was taking the time to reflect daily. It can easily become that part of the day you cut out but I found out just how important it was during the summer. I plan to take time each day to reflect. I am forever grateful for MSU-Wipro, the Deep Play Group, Team Pi, and especially the instructors.